engage with fellow attendees and faculty than at larger conferences. 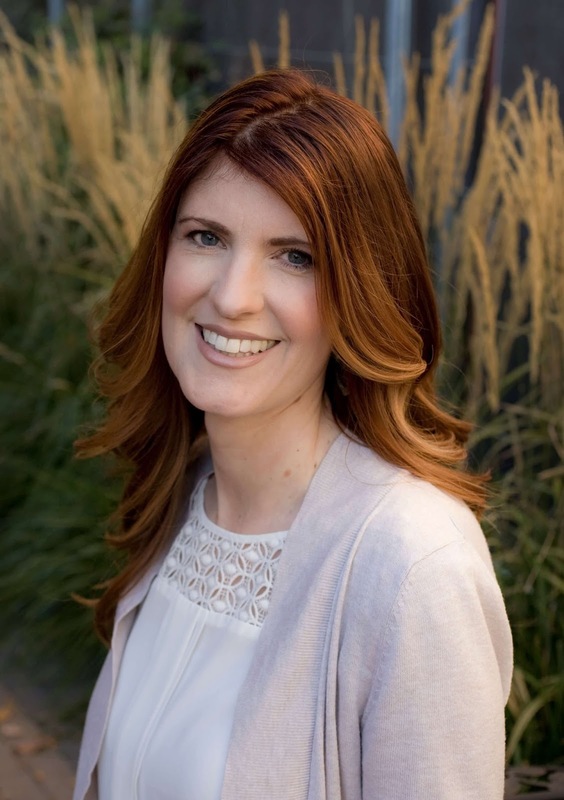 When was the last time you chatted with an agent or editor over a coffee or cocktail? It’s easy to be overwhelmed by large conferences, and even though you're surrounded by hundreds of others, it can feel lonely and isolating when you don’t know anyone else. Welcoming and inclusive. Many writers, particularly ones new to the industry, often think they have no business at a writer’s conference until they’re an “established” author. Banish this thought! Writer’s conferences are incredibly beneficial to you new writers because you’ll meet people who will likely become your biggest support system; you’ll gain an enormous amount of insight and knowledge about writing, all in one place; and you’ll go home feeling energized and inspired to write. Session offerings. It’s tough to find writer’s conferences that support various genres; not all writers focus on one type of writing. Are you working on a memoir but dabble in flash fiction? Want to try your hand at poetry? Or a screenplay? You never know what other genre of writing might resonate with you unless you give it a try. We have fun. Let’s face it: writing is hard. The most difficult decision we want you to make is which session to choose, or which type of wine do you want during cocktail hour. Over the years, we’ve had a lot of fun, from tin foil hats to men in feather boas, to a space suit contest to a chicken on stage. And admit it, the Conference Creative Team’s short film is always worth the price of admission. While our modest budget may not lure the likes of Stephen King, we do our best to bring in top speakers, presenters, and industry professionals. 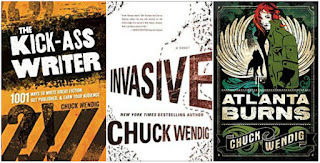 You might not have picked up a Chuck Wendig book, or read his posts on his blog, but I guarantee after you hear his keynote on May 5, you will be a forever fan. 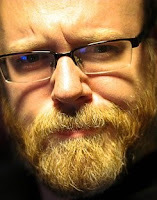 His work, that ranges from YA, to horror, to comics, to books on the craft of writing, will entertain and inspire. Word of caution: do not read Invasive if you have a pest control problem, specifically, ants. (Take care of that and then read it.) 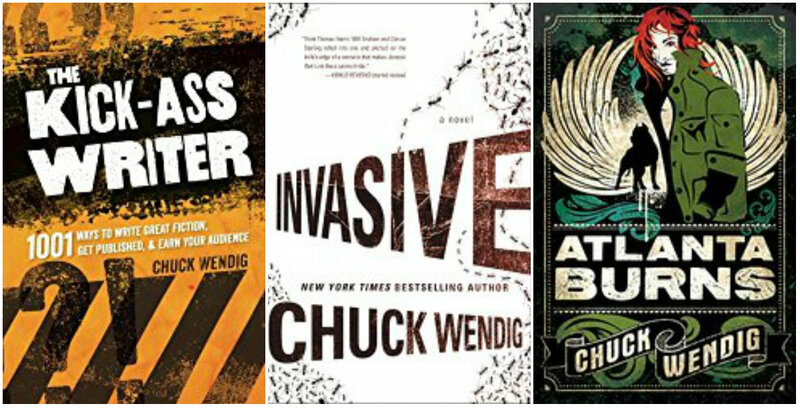 Chuck will also be participating in our author panel and presenting a 90-minute session on Saturday. On March 1, his third and final installment of his Star Wars trilogy debuted at #3 on the NYT bestseller's list (just under Neil Gaiman)! I could go on and on about all the reasons to attend the 12th Annual NCW Conference, but I’ve got to wrap this up. Check out our Conference Page, read the FAQs, and take a look at the Schedule. Remember, if you’re an NCW member you can have your books in our Conference Bookstore. 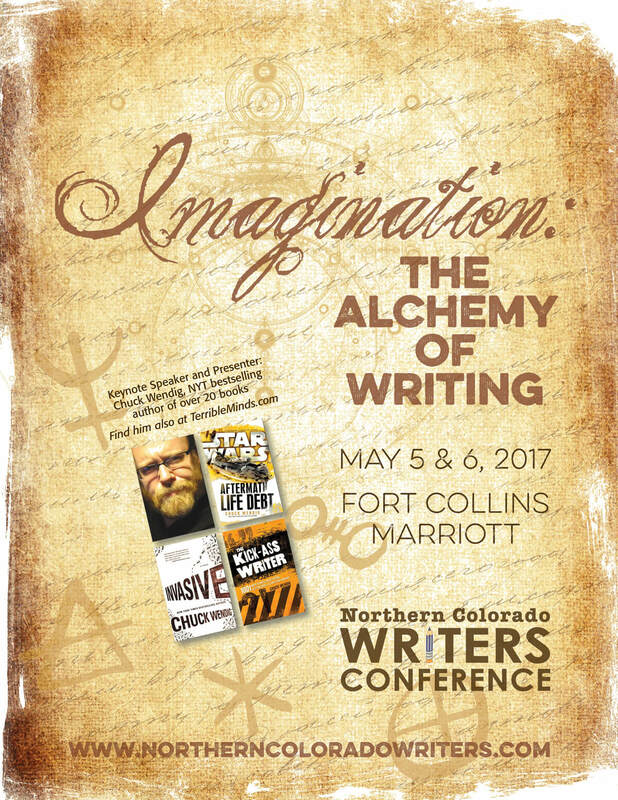 I encourage you to make this investment into your writing career and join us this May 5-6 at the Fort Collins Marriott. Did I mention it'll be fun? The people that I spend the most time with, except for my immediate family, I've met at the NCW conferences. This is by far my favorite conference of the year. The small size makes it super easy to actually get to talk to the presenters, and guess what? The speakers at this conference actually like to talk to writers whether they are experience and published or if they have no idea how to get started. No snobbiness here, just great people nerding out about words. So Cool! I agree. It really is an amazing conference, and I've made some incredible connections through it. 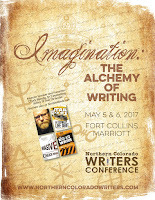 My first year I could only afford to attend one day, but I still made connections to other writers, a professional editor, a literary agent (who requested my manuscript, thank you very much), and various presenters. My second year, I got at least four hours of direct face time with literary agents (I happened to be in the right place at the right time a few times) and I got another manuscript request as well as some invaluable advice about how to tailor my story for the modern market. I met my critique group at this conference, and they are as amazing and talented a group of people as I've ever known. It really is a tremendous resource. I hope I'll see you there!